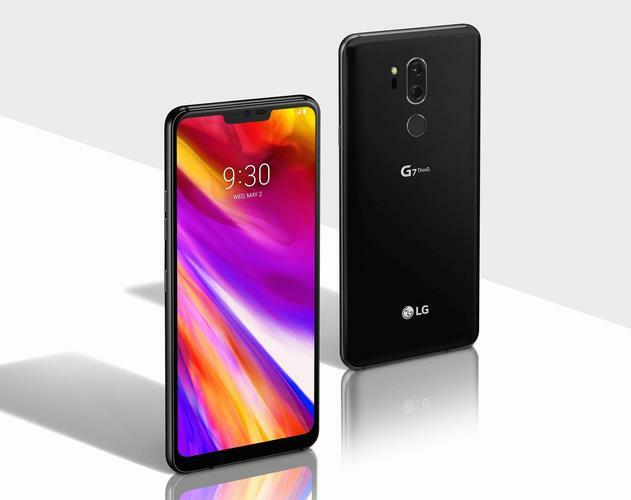 LG Electronics has announced its latest smartphone, the LG G7 ThinQ. “The LG G7 ThinQ is strongly focused on the fundamentals and its launch marks a new chapter for our company,” said Hwang Jeong-hwan, president of LG Electronics Mobile Communications Company. Powered by the latest Qualcomm Snapdragon 845 Mobile Platform, the LG G7 ThinQ offers 4GB of RAM and 64GB of internal storage to run the latest demanding tasks and apps with ease. Equipped with a 6.1-inch bright display, LG claim the LG G7 ThinQ is comfortable in the palm of your hand and that one hand operation is simple and efficient. Sporting a new design aesthetic for the G-Series, the polished metal rim gives the LG G7 Thinq a sleeker, more polished look, complemented by Gorilla Glass 5 on both the front and back. The phone is also rated IP68 for dust and water resistance, making it great for outdoor use. Versus last year's G6, the LG G7 ThinQ has been upgraded with an 8MP camera up front and 16MP lenses on the back in both standard and Super Wide-Angle configurations for higher resolution photos with more details. LG’s say their signature wide-angle camera now captures even more beautiful landscapes with less edge distortion. The camera also comes with 19 new AI-powered shooting modes, introduced in the LG V30S ThinQ. LG claim that through a combination of pixel binning and software processing, the AI algorithm adjusts the camera settings automatically when shooting in low light and delivers better results. LG say the G7 ThinQ will be one of the first devices to receive new Google Lens features. The LG G7 ThinQ is also the first smartphone to offer DTS:X to deliver virtual 3D sound for all content, up to 7.1 channel audio with earphones. Carrying on the heritage of LG’s focus on great smartphone sound, the LG G7 ThinQ is equipped with a Hi-Fi Quad DAC for incredibly rich sound especially when paired with high-impedance earphones. The LG G7 ThinQ will roll out in June in Australia through JB Hi-Fi and selected retailers.. Price details will be announced closer to the time of availability.